Does the Tegra K1 in your Nexus 9 run a little toasty? 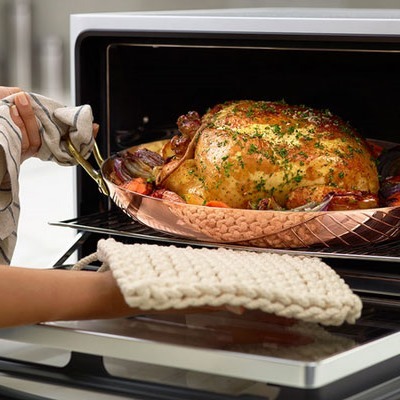 Well, it's got nothing on NVIDIA's latest mobile chip design win, which is literally an oven. I'm sorry, NVIDIA, but the jokes basically write themselves here. Owner testimonial: "My oven can play Doom 3!" The June oven's big shtick is that it takes selfies of your food which, while completely ridiculous, is at the same time weirdly cool? Maybe? I don't know. What I do know is that this actually sounds like a pretty good oven, boasting a 350F preheat time of just 4 (four) minutes, which is sort of incredible. This is thanks to its carbon-fiber heating elements, which reach maximum temperature in a barely-believable five seconds. It also has a smartphone app, scale (come on, that's awesome), and a built-in temperature probe. The June oven may be the smartest oven in human history, and it will also not be cheap: this thing starts at $1495 if you pre-order (with $95 deposit), and MSRP will be an eye-watering $2995 if you don't. This is a countertop unit, so it's also a hefty price-tag for something that you can't actually embed in your kitchen (well, I guess you could if you really wanted to). 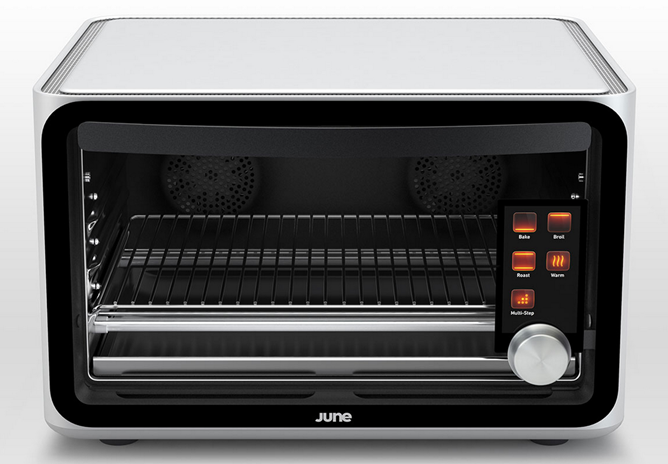 As for the selfie aspect, the June has a built-in full-HD camera with two bright white LEDs providing lighting for your foodographs and live-stream cooking action. It is, of course, powered by an NVIDIA Tegra K1 (quad-core, not Denver) processor, which seems like tremendous overkill, but then again, I'm not a smart oven engineer.